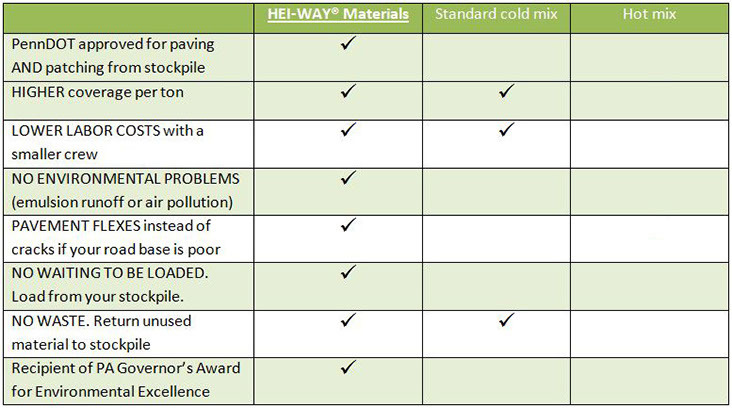 HEI-WAY® stockpile cold mix asphalt materials are a great choice for your secondary roads of 3500 or less ADT (average daily traffic). Our materials have been used by our customers with excellent results and comparative cost savings. See our Cold Mix Paving Profile interview with Mike Boots of Franklin Township, Beaver County here. See our other paving profiles below!